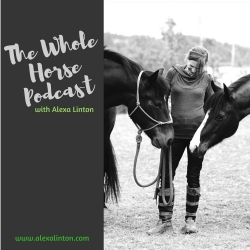 In this potent podcast for horse lovers Author, Teacher, Equine Sport Therapist, horse lover, and rebel Alexa Linton explores the fascinating territory and newly discovered edges of the horse-human partnership with special guests. Together, we’ll be shedding light on all the different ways of relating to and being with horses, learning how to cultivate optimal health for horses and their riders, uncovering the many facets of horse training, and sharing about the rather bumpy ride of becoming an advocate for horses in our current horse industry. The goal? Happier, healthier horses, riders and communities! It’s sure to be an adventure!